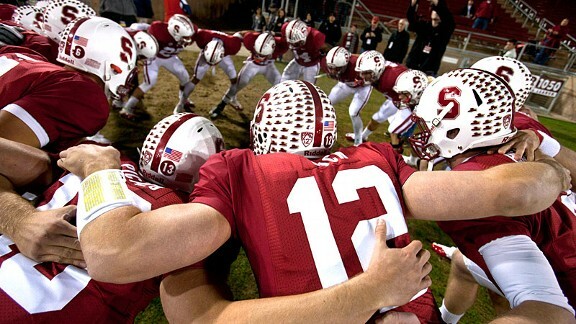 Despite its pristine image, Stanford is working hard to block student-athletes from gaining healthcare rights. While most sports fans have recently been consumed with the start of football season and the truly wild MLB wildcard chases, the state of California created a law that could eventually alter the entire landscape of college athletics. On Aug. 22, California state lawmakers passed SB1525, or the Student-Athlete Bill of Rights. The law would require any university receiving more than $10 million annually in sports media revenue to uphold a player’s scholarship in the event of an injury by transferring the athletic scholarship to an academic one. As of now, the schools that qualify are USC, UCLA, Cal, and Stanford. the postsecondary education institution, if a student athlete’s athletic scholarship is not renewed due to incapacitating injury or illness resulting from participation in the athletic program, to provide an equivalent scholarship, that when combined with the previous athletic scholarship, provides the student with up to five academic years or until the student completes his academic degree, whichever comes first. A student’s temporary leave of absence shall not count against the five-year limit. An athletic program with a six-year graduation success rate, disaggregated by team, of less than 60%, to provide a student athlete in good standing who has exhausted their athletic scholarship with an equivalent scholarship for up to one year. California would be the first state to provide financial protections to injured student athletes on scholarship if Gov. Jerry Brown signs the bill. It passed the Assembly 51-25 and the Senate 22-10. The full text of the law can be found here. This seems to make perfect sense. Joe linebacker risks his health week in and week out to win games and more money for the university. The least the school can do is uphold the contract it signed with that player in the event of a career-ending injury. Yet Stanford University, the great bastion of academics on the West Coast, wants nothing to do with this law. Despite generating more than $21 million last year in football revenue alone, the Cardinal seem completely unconcerned with the well-being of their athletes. What is humane or civilized about telling a running back with a torn ACL that he must now shell out $50,000 a year for an education when you are accepting BCS payouts and selling that player’s jersey in the stadium? Curious that Stanford would take this stand given that it already does exactly what the law would require.